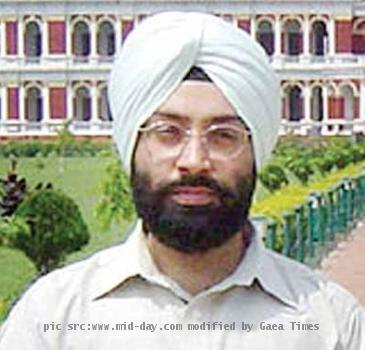 NEW DELHI, INDIA (GaeaTimes.com)- IAS officer Ravi Inder Singh was detained by Delhi police on Monday for allegedly leaking sensitive details relating to mobile number portability to some of the leading telecom companies. The 1994-batch Indian Administrative Service officer working with the Home Ministry, was under surveillance for a period of one month before he was taken into custody by the cops on Monday under the Prevention of Corruption Act. With regard to the charges that have been levied against him, the Special Cell of Delhi Police also raided his office as well as residence on Monday. According to sources, Ravi Inder Singh has been in close association with two leading telecom companies and was in the process of passing sensitive information to them for the last two to three months. The IAS officer was taken into custody after a FIR was lodged against him claiming that he was involved in passing on information of ‘commercial interest’ to the telecom companies in relation to mobile portability number. However, P N Aggarwal, Special Commissioner of Police (Special Cell) has refuted reports that Ravi Inder Singh has been arrested by the Delhi police and has emphasized that the IAS officer has only been detained for questioning. While talking about the detention of the Ravi Inder Singh, Union Home Secretary G K Pillai told reporters that police acted on a tip-off and conducted the raids on the IAS officer’s residence and office after complaints were received that he was passing on confidential details to telecom corporates. However, G K Pillai refused to confirm the names of the telecom companies involved in the scandal but hinted that raids in the offices of the corporates is also likely to take place.